These days it is not common to install Windows XP however for some old unsupproted applications that still work on XP in many countries in Africa, Asia, Europe and even America. Custom patched Windows XP is still heaveily used for some corporate businesses in accounting and on airports and other government institutions even to these day, I'm aware of Windows still heavily used especially in Russia, Belarus,Ukraine, Kazakhstan, Armenia, Bulgaria etc. Hence still there is plenty of softwares designed to work XP the good old Win XP and thus often XP needs to be emulated on VMs though officially not supported any longer by Microsoft (its Support lifecycle End was for a last time on April 14, 2009). Now I guess these days I guess nobody doesn't install and use Windows XP on a normal hardware PC Desktop / laptop but XP is continually installed on Virtual machine servers VMWare / VirtualBox. Hence if you happen to have already migrated or installed some old Windows XP operating systems under VMWare for a corporate clients single core machine (no matter virtual or physical) and the client requires an update of hardware of the Virtual Machine you will be surprised that even though you add a second / third etc. 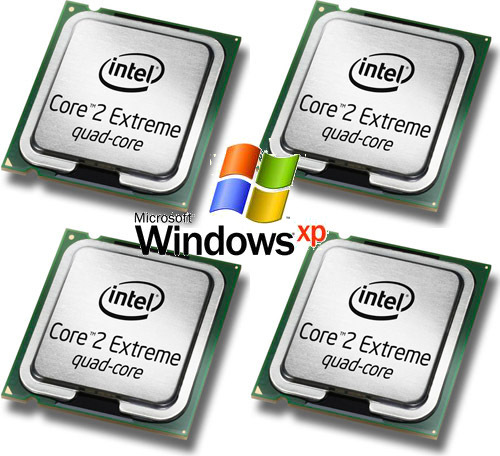 core (new CPUs) the virtual machine hardware and restart the Windows XP installation. 1. 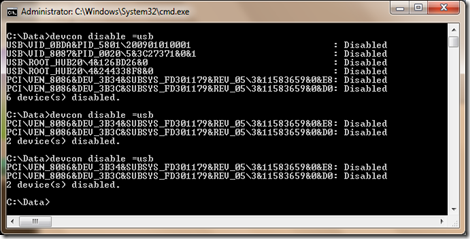 Download the command line devicemanager utility (devcon.exe) from Microsoft Development Network MSDN here. Note that it will work only if you use the correct version depending whether XP is (x86/x64) bit install so check it out from My Computer -> Properties. devcon.exe will let the automatic hardware detection find out the extra CPU (multicores) added. Wait 'till you get prompted for a reboot. You should now see all cores, hooray cores will appear in Task Manager / System Information. If you have worked in a small or middle sized company and you're offered work into some of the top 100 world corporations, prepare yourself for some shocking 3 to 6 months depending on the company. This period in which you will be introduced to the company's field of business and way of work is called in corporate terms OnBoarding period. Even if everything looks to complicated and obscure, don't be quick to loose yourself or desperate as this is just a new beginning and as any new beginning it is hard. However once you're acquainted with basics it will be much easier for you. After all most of the new things you will learn in Corporate Environment are just the good old ones you know already packaged under a different wrapper. You will be introduced to many portals, client names, have to watch a lot of "brain-dead" trainings, which told you basics on Corporation and its client essentials, be offered ways to advance, have to request Accounts and Credentials to servers via some obscure procedures, which change all the time, so it is likely the procedures you have to follow to get the necessery network / server accesses will be a procedure different from the one your colleagues followed few years ago, thus probably you will have to do account requests for a first time. In this on-boarding time you will deal with a lot of trainings teaching you to be ethical, respect your co-workers, learn basics of inter-cultural awareness and learn to get responsibility for your actions and some specific training regarding the job position (job description) you have. You have to be patient and non-judgemental and ready to accept situation as it is and not be angry that so many people doesn't have idea on what is happening. Also it is a good start-up corporate advice to respect people's knowledge, don't thing that you're too knowledgable, as you will be amazed that there are a lot of people in huge companies which have better understanding and knowledge on tech than you. Also realize, the confusion that is taking place in Huge companies "The Right hand doesn't know what the left hand is doing", as our CCL Kalin used to say. The corporate world is a world where way of work is very different from tiny companies, you will have a chain of managers on top of you. The huge companies world is a world of big fish players .. It is normal that in the first weeks / months you feel overwhelmed because of too much information and all looks too difficult, however just don't worry and go on. Now all is hard but in a few months everything comes to place and you realize in reality all is easy and it just seems hard in the beginning. It is a good thing that you use the "Induction" / Onboarding period of first few months to find to make as many contacts as possible as this will be of a great help in your later job time. Get in contact with people from Database / Database and Storage / Load Balancers / Networking / Firewall Teams / Managers / Delivery Leads – the rule here is the more, the better. If you want to grow in the company's scale making social contacts is even more important than being a hard-worker. If you have friends in management of company and you do your work well and try to be proactive, sooner or later your managers will notice this and will recommend you for some kind of manager position. Here's few abbreviation meanings, you will have to learn if you will have to work some kind of system administration or support work for a Hewlett Packard. Microsoft Products – For people coming from Linux / UNIX background, the induction (onboarding) period into a large corporation is even more complicated because if you have been accustomed to using Open Source OS and tools in large corporations you will probably have to do a lot of things with proprietary tools which are hard to run on Linux / *nix, therefore it is good practice if you intend to work for Biggest Organizations in the world to get used to either running a MS Windows 7 / 8 into a Virtualbox or VMWare or get used to using Windows as a Desktop environment. Once you enter the huge organization it is likely you're handed in with your working notebook, shipped with a Customized Windows install to work well with the corporation where you're onboarding. However companies like HP did a great job, because they offer Ubuntu / Debian / Scientific Linux distributions tailored with most tools you will need for normal daily work, so it is not necessery to use Windows (though I find it personally much easier) to use Windows as desktop nowadays. Microsoft Lync Communicator – This is the defacto standard program still used in corporation for internal VoIP / Video communication , One of coolest Lync feature is Sharing Screen. At any time you can share your screen (thing like you have installed teamviewer), give-control to remote party, you can share screen between multiple people and it is pretty much like a shared desktop conference, really useful! However sometimes when Internet is slow or network is failing occasionally MS Lync gives worse results than TeamViewer, so having TeamViewer just in case is useful too. 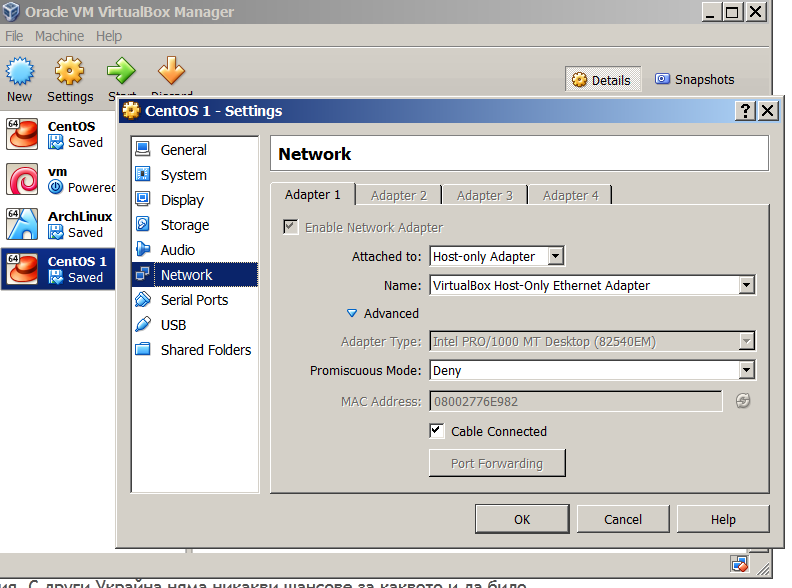 Lync works making the VoIP connection by using some Exchange Mail server integration. MS (Outlook) Calendar – Calendar is one of the top things you have to know to organize meetings with clients and colleagues to discuss various project aspects, server problems or just ask a question your Solution Designer regarding some server Environment designed by him . MS Outlook – All mail communication is primary using Outlook Express, you can add Tasks, Contacts and set Calendar meetings with it. If you're like me and coming from UNIX world and get used too much to Mozilla Thunderbird, you will be in big shock until you get used to work with Outlook, not that it is difficult but it is quite different from Thunderbird. For efficient work with Outlook Mail you will have to learn creating Outlook Filters and Outlook Mail backups as often mailbox is just 1 or2G and mailbox fills in for a year time. MS Office / MS Project – You need Word and Excel quite often and for sysadmins this is very irritating. All office and client documents will be exchanged in Word and Excel format, if you're a Project Manager you will need heavily use of Microsoft Project too which needs to be installed additionally as it does not ship by default with most MS Office / Windows installs. SharePoint (SP) – in large companies they like placing things into Sharepoints so a lot of the documentation is found on some random sharepoints (this is like a Directory Listing Apache server) – very annoying as it is really chaotic – I don't like it. LB = Load Balancer (Load Balancers include capabilities of Intelligent Switches are in essence routers which can balance load ovr number of hosts running different services in order to ensure traffic received to a service is balanced between members of a cluster most often they're Active and Standby. 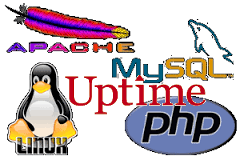 Different methods to load balance traffic exist round-robin etc., traffic to Apache / MySQL / PostgreSQL and virtually any service could be load balanced. SLA = Service Level Agreement (Agreement document between Company Corporation and End customer about services / servers or any work to be provided under what conditions and cost and time interval. In short SLA is a contract document between Corporation and customer. 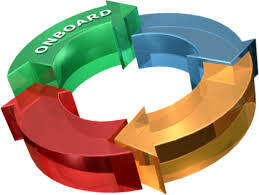 TOP Process – Turn to Production (The processes which PM follows, before project turns to production TTP). Top Approver – The list of people involved in project which has to approve the Top process until set as completed. Capability Lead – This is a job position one step behind a Team Manager. DL's goals are to help teams manage internal issues and deal with clients requests, next to doing some minor technical job. 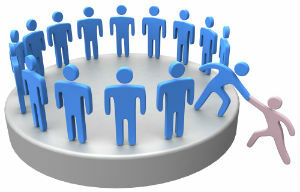 In short this position is like a Junior Manager (or a position which is held before), people emerge to Team Managers. UAT (User Acceptance Testing) / Test server, env – UAT is the last phase of software testing process. DC – Data Center (location) in some address room / rack numbers etc. Security Class – The levels of security of access to a server (Different countries and Unions legislation world-wide require different rules and regulations on server security). same country as where server is physically located. PC COE – PC COE – is a set of services and tools that has helped HP reduce its desktop computing costs by $200 million per year. HP also establishes a new organization within the HP OpenView division to market TCO solutions. From PC-COE you can install almost all proprietary software for free and use them for your daily work. The software comes with free Licensing for internal HP Use. Junos Pulse / Remote Access to HP Network – Dynamic SSL VPN Connectivity at most companies to access a corporate network you connect via some encrypted VPN client, some companies probably use OpenVPN. IBM, Dell, E.ON, Apple, Samsung, Toyota, Daimler, Gazprom, RosNeft, Volkswagen Group, Honda, AT&T, General Motors, Allianz, LukOil, Carrefour, Siemens, BASF, Philips, Ford Motor Company, Koch Industries, Tesco, Royal Dutch Shell, BP, Chevron, Vitol, SK Group, Verizon, General Electric, Wal-Mart Stores, Nestle etc. Probably there are things I'm missing so, if there is something else you have learned understand during onboarding, please share it in comments! The word Halloween or Hallowe'en dates to about 1745 and is of Christian origin. The word "Halloween" means "hallowed evening" or "holy evening". It comes from a Scottish term for All Hallows' Eve (the evening before All Hallows' Day). In Scots, the word "eve" is even, and this is contracted to e'en or een. Over time, (All) Hallow(s) Eve(n) evolved into Halloween. Although the phrase "All Hallows'" is found in Old English (ealra hālgena mæssedæg, all saints mass-day), "All Hallows' Eve" is itself not seen until 1556. Before Christianization of Western societies – e.g. Irish, Old English, Scots and the other Gaelic nations, in Ancient celtic traditions Samhain (celebrated at end of October) give the beginning of the Celtic New Year. Celts believed that the spirits of the dead over the previous year come to roam the world looking for living people to possess. As a mean of protect Celts put on their face animal skin and other objects in order to be as scare as possible to drive out spirits from themselves. The Celtic people of Europe and Britain were pagan Druids (priests / educated people) whose major celebrations were marked by the seasons. At the end of the year in northern Europe, people made preparations to ensure winter survival by harvesting the crops and culling the herds, slaughtering animals that wouldn't make it. 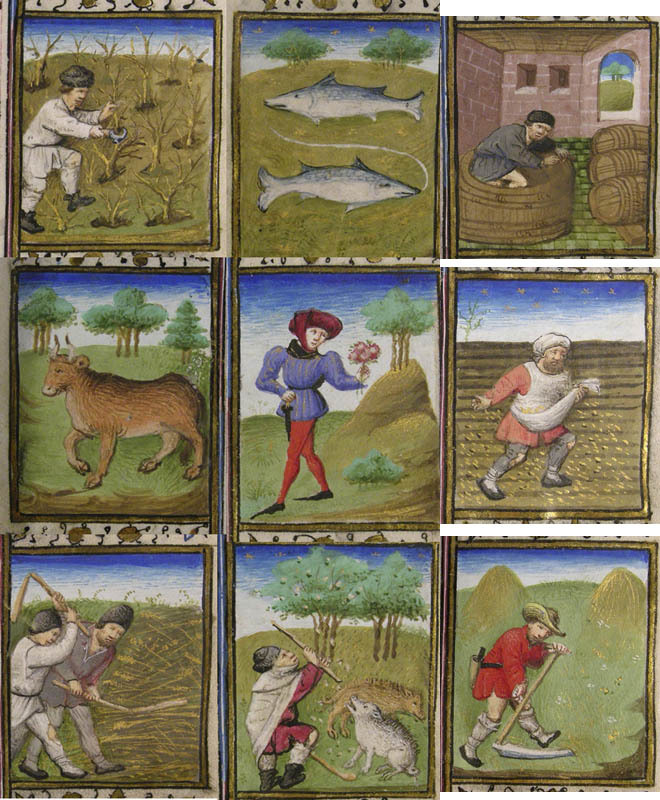 Life slowed down as winter brought darkness (shortened days and longer nights), fallow ground, and death. The imagery of death, symbolized by skeletons, skulls, and the color black, remains prominent in today's Halloween celebrations. The "Samhain" season used to be a favourite times before Christianization and (even by some witches, later haunted by Inquisition) for occult practices such as divination and communication with the dead. They sought "divine" spirits (demons) and the spirits of their ancestors regarding weather forecasts for the coming year, crop expectations, and even romantic prospects. Bobbing for apples was one practice the pagans used to divine the spiritual world's "blessings" on a couple's romance. Interetingly in Eastern Europe countries, there is similar traditions in multiple countries – e.g. Romania, Moldova Serbia, Greece, Macedonia, Croatia even in my own Bulgarian culture we still have regions celebrating similar pagan feast, on whose feast Kukeri – Kukers are called the dressed people in the form and masked as scary beasts with horns dance on the streets in hope to drive away with their awful looking outlook any "evil spirits". 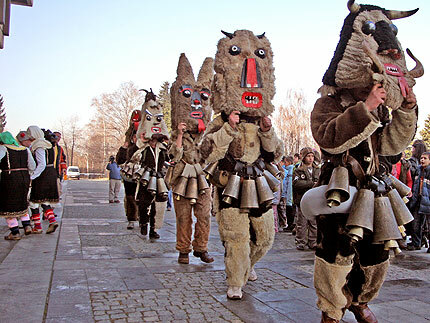 Kukeri traditionally appear still in Eastern Bulgaria, the feast has been known to have origin from Thracians. It is intriguing that since, even very ancient times people believed in immortality of the human spirit and this is not coincidence, because from ancient times people know "instinctively" the soul is importal and life continues on after physical dead of the body. The modern version of Halloween celebrated mainly by kids wandering the homes of neighbors with the question "Trick or Treat?" started being marked in that way in England, Belgium, Germany, Austria and Italy at least as early as 15th century. 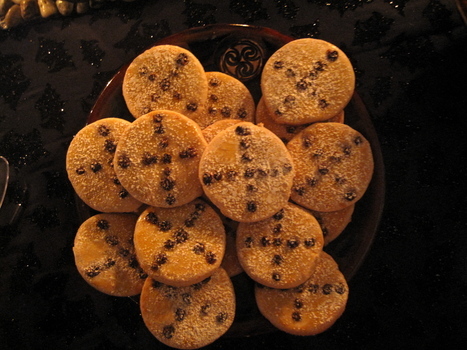 Traditionally groups of poor children would go to homes collecting the so called soul-cakes (special burned small breads) made as an aim of remembrance of the Christian relatives who passed away – it was a very widespread custom to give food to strangers as a mean of charity just like it is still in Orthodox Christian countries, we give away food to strangers as an aim to remembrance of our departed (and forgiveness of sins) to our relatives. In the Middle Ages, churches displayed the holy relics of martyred saints for veneration and those parishes that were too poor to have relics let parishioners dress up as the saints instead a practice that some Christians continue in Halloween celebrations today. 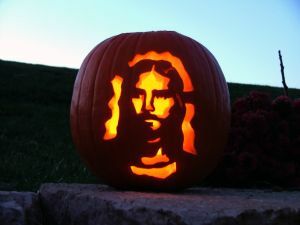 Unfortunately the Christian root of Halloween tradition gradually mixed with some of the old still not completely forgotten beliefs of paganism in pre-christian times and with the gradual raise of materialism, the protestant reformation, the enlightenment, the french revolution, the world wars etc. this mostly Christian traditions loose their Christian ground and left mostly its pagan element. After Christianization of Europe from the 9th century onwards the Church, pagan traditions continued to be practiced by many, probably because the Church "mass" language and preaching was in Latin, people doesn't have bibles and many even baptized doesn't really had a good knowledge / understanding on Christian faith. 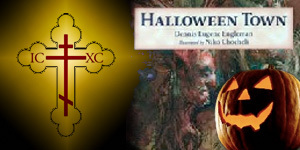 It is not a coincidence the Church's decision to place the All Hallows Eve (The Day of All Saints) on "Halloween" feast on 1 November. The feast of All Saints on its current date, is traced to the foundation by Pope Gregory III (731–741) – (who was a defender of true Orthodox Christian faith and openly against the heresy of Iconoclasm) who set this date to be "of the holy apostles and of all saints, martyrs and confessors, of all the just made perfect who are at rest throughout the world", the feast was moved to 1 November from the prior feast from 13 May suppressed. With the emigration of many Europeans to America the secular Halloween feast has been transferred to America and set itself as one of the United States citizens tradition in which reminded emigrants for their homeland europe making the feast popularity to boast. The bloom of TV advertisement and the decrease of faith in people, increase of occult mindset in society made the feast primordial understanding to invert associating Halloween with evil which is fun in the mass. This is quite strange as evin the ancient pagans, had not associated with evil but used the feast as a mean to protect from evil. That's another sign in what kind of tragic state currently society is … sadly the feast Americanization made it to the number of "International feasts". 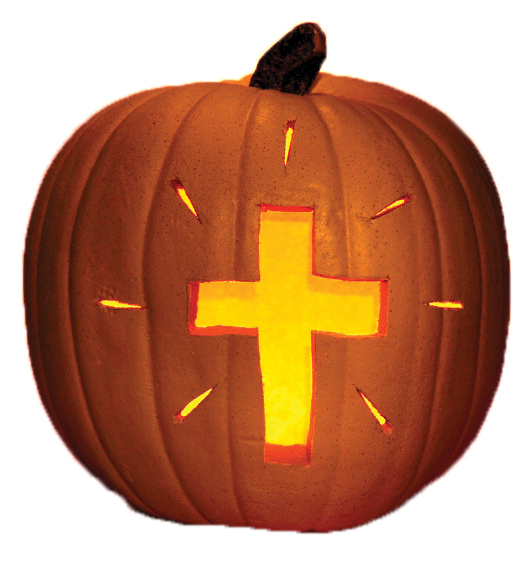 And now there is almost no country where Halloween is not celebrated in a secular way. It is not a hidden fact that Halloween feast for its connection with magical powers, paganism and occult is often believed and said to be 'A feast day for Witches and magicians', its considered important feast in Anton Sandor Lavey's Church of Satan. A lot of parents nowdays does encourage their children to celebrate the feast not understanding the real Christian roots of it and teaching children to enjoy evil often without even realizing the psychological damage this makes to a kid. Some countries such as Russia has already legislation prohibiting the pupils in school to mask like monsters and celebrate publicly the feast. If you're a parent it is always a good idea to tell your kid that the truth is Halloween feast is not connected to darkness as it is often publicly illustrated but on the contrary Halloween tradition is early Christian one. Most of my colleagues at work know I am Christian and as we have our lunch together almost daily, have a friend talks in our rest time etc. … it is quite normally we have talks on topic of philosophy and religion. In that short talks often, I've been pranked, questioned and probably even thought crazy for believing in the Lord Jesus Christ and the Holy Gospel. That's okay as this is normal as in almost all ages Christians, were mocked for their faith by skeptics and disbelievers. In our talks often, my colleagues try to convince me their believe "There is no God" and they think in a way that religion is only for old fashioned and stupid people, because they think the modern dilusion that science and religion are controversial. Since some time one of my colleague tells me about an atheistic movie of an atheist who made a movie called Religulous. After, I've been told about the movie about 5 times, I decided to spend some and research on it, because I firmly believe it is the next "holywood" style easily digestable movie made "the holywood way". Below is my rationalization and findings about the movie. The movie title Religulous is selected as a prank from the word "Ridiculous". Before you further read I warn you if you're an Orthodox Christian to not watch it for it is not worthy to spend 1:40 minutes of your wife watching such a nonsense. Religulous is American documentary film from 2008, directed by Larry Charles and starring comedian Bill Maher. In the Movie Bill Maher travels to different religion holy places (Jerusalem, Vatican, Salt Lake city) and pranks interviewing believers from variety of religions believes. Uneasy questions misleading questions are asked to different people and he makes prank of answers. Of course it is very easy to make someone a fool who doesn't have idea about basics of world religions and present your arguments in a convincing way among people who doesn't have deep understanding on Christianity branches and history. If one takes a quick time to research on who is Bill Maher, he finds he is a ardently liberal who has deep disrespect and hate for Christianity based on a personal bitter experience in Catholicism (curiously his mother is Jewish) and one finds Maher disregards Christianity not based on facts but on personal bitter experiences from Roman Catholicism. In religulous it is preached, that religion must die to liberate the family from unneeded slavery which is pretty much what the communists in the bolshevik revolution believed – meaning his idea is nothing new but rebranded atheism. Just for information, there were people with such hatred and ideas during the last 2000 years, so somehow this guy, reinvents the steel. In the movie Maher travels the world with director of Borat Cultural Learnings of America for Make benefit Glorious notion of Khazakstan – Larry Charles (which is another mockery "commedy" movie). Even by reading IMDB movie description gives you idea the movie is not serious and it is highly ridiculous to use such non-sense to attack Christianity, along which civilization gravitated and thanks to which we have a well developed modern civilization. What Maher claims is about 1/3 of population on earth – 2.5 billion are stupid and inferior to atheists). Bill Maher interviews some of religion's oddest adherents. Muslims, Jews and Christians of many kinds pass before his jaundiced eye. Maher goes to a Creationist Museum in Kentucky, which shows that dinosaurs and people lived at the same time 5000 years ago. He talks to truckers at a Truckers' Chapel. (Sign outside: "Jesus love you.") He goes to a theme park called Holy Land in Florida. He speaks to a rabbi in league with Holocaust deniers. He talks to a Muslim musician who preaches hatred of Jews. Maher finds the unlikeliest of believers and, in a certain Vatican priest, he even finds an unlikely skeptic. It is obvious from this description that the movie is not to consider serious and what the people on this movie would say is not to be considered authoritative as they're not even theologians, but random people. Also what Maher did in this movie is to select weak and mixed people to mock intentionally Christianity. Even though in the movie various religions are mocked the accent of his mockery is christianity and this is not a coincidense but because, Christianity has most adherents. The movie is highly manipulative, just like another openly anti-Christian movie Zeitgeist. The guy opens the movie with a scene on Megiddo, Israel with a false claim that the end of the world is going to happen on this place. I have heard some protestant Christians took Revalation chapter of Holy Bible and interpret the written there about an End of the World all world armies battle. Actually I'm not aware that this idea is ever preached by any orthodox Christian priest, monk or elder but it is more a "free interpretation" of the holy scriptures by some protestant denomination. Actually an interesting thing about Megiddo is on Megiddo is located the earliest Christian Church, so I guess it is a not a coincidense movie criticism starts from there. The first half of the film is mostly focused on evangelical Christians, how they believe in things like a 5,000-year-old earth, etc. Maher takes a trip to the Creation Museum in Hebron, Kentucky, where he interviews creationism guru Ken Ham against the backdrop of animatronic dinosaurs with saddles (for humans to ride on). And he also interviews young-earth evangelical Mark Pryor, a democratic senator from Arkansas who creates some of the funniest moments of the film. To be fair, Maher also interviews Christian evolutionist Francis Collins, but he too comes out looking a bit buffoonish. All along the journey, Maher and Charles jazz up the images with achingly sardonic voiceovers and music, and some very clever quick-cut editing (inserting 2 seconds of Charlton Heston-as-Moses at opportune moments, for example). To show off his openness Maher, smokes pot on camera obviously preaching "freedom" the american way and live quickly and die rock'n'roll culture message. The movie is quite agressive and made in a way to make converts. The movie presents the so called self-fulfilling prophecies, believed and preached by people involved into experimental psychology (which nowdays uses early occult and shamanistic magical methods and whose practices are not based on science but on believe). Of course to make such a movie look authentic, any connection with real historic facts in the movie are omitted. Maher's thesis that all things evil and destructive are a result of religious delusion simply does not hold water historically! There are already thousands of recent proofs, that lack-of religion is not panacea for all problems, take for example communism in Russia and the disbandlement of the USSR, Communistic China and the countraless atheistic regimes throughout history leading to violence and calamity in the world, totally outside of any religious motivation. To make the non-sense movie more fun and convincing, the psychologic method of mockery is heavily used, everything in the movie is presented in a commedy form. Religulous a movie meant to make religious people look stupid, to "prove" that religious belief and intelligence are mutually exclusive. Maher spends the second half of the film undermining religions and cults of every shape and size. He goes to Utah and skewers Mormonism, interviews Puerto Rican cult leader Jose Luis De Jesus Miranda (who claims to be the Antichrist), and even gets high with a leader of a religion based around marijuana. He goes to the Vatican and interviews some crazy Catholic priest, and Jerusalem to deconstruct Judaism and Islam. Maher is particularly hard on Islam, offering somewhat surprising pronouncements about the inherent violence and barbarism of that most touchy of all world religions. At moments like these, Maher might actually find allies in conservative Christian circles?? In the movie, during a debate with a Christian, Maher repeats a version of Christ myth theory derived from Gerald Massey's 1907 thesis that the myth of the Egyptian deity Horus was the source of the story of Jesus. He makes riduculous connection between the Book of the Dead and Jesus Christ. It is pretty interesting that we Christians are often being blamed for evangelism and because of that most of Christians, fear to talk about their faith, just because true Christian faith and modern society living in confort does not align well together. The inner essence of man is very similar in both atheists, christian, muslims, jewish, buddhists hindu etc. we are all looking for a higher meaning in life sooner or later in life. We all live by certain believes daily (I know atheists would ignore it but, a lot of the actions even the hardest atheist takes are pushed by certain belief system and faith in something (disbelieve in God is also a faith just like believe in God). Actually being an atheist is a tough thing, because atheists just like us christians spend time to reinforce their disbelieve with, stories, question and answer sessions, scientific facts. 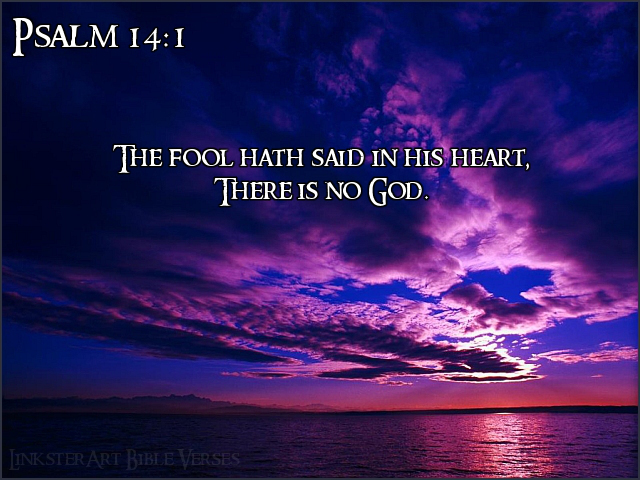 Most of atheists fall in the trap of disbelieve either because they're dishonest in their research on is there God? or because events in their life turned in a way they didn't wanted too (because of lack of what saints call humility) or because they want to justify their bad deeds. Anyways for good or bad most of people who define themselves as atheists and follow the "spiritual wind of the times" are nowadays living in the well developed high economies world and it is interesting that in this parts of the world, people have as heritage to live with general Christian mentality and Christian mindset. Christian understanding of life in most countries full of atheists is so strongly rooted in society and culture, so even the biggest anti-christ or atheist has a tendency to do goo. That a lot of those atheists who disbelieve God actually do Christiain deeds not realizing a lot of their deeds paradoxally are deeds of people who actually believe there is God. I think it is not righteous to criticize Christianity without even taking full time to study it. As Orthodox Christianity is hard to grasp and unpopular faith, often the image of modern Christian is made up by protestant Church denominations and even in best cases by Roman Catholic church, so most people in even officially christian protestant / catholic countries does not have the opportunity to see true Christian ascetic faith which is still present in the Orthodox Church. The most common attack of an atheist against Christianity is using arguments about the Roman Catholic's Crusades and Inquisition, which were conducted by the Roman Catholic Church. Most Atheists however does not knowthat in Orthodox Church, there was no inquisition and no Crusades. Even worse Roman Catholic crusaders came and invaded and killed orthodox christians in the same way they killed anyone who rejected to accept their faith, this act never happened in Orthodox Church. Passive and indifferent atheists often, keep calm and either haven't thought whether there is God or don't take position when one talks about faith. Often passive and indifferent atheists are amazed to learn things pointing them that there is God and that the holy writtings are true. The Militant (active) atheist is a rare thing to see nowadays as people are tought to be tolerant and respectful to others, however if you start talking on topic that has to deal with faith, somehow a lot of atheists start being agressive and blame you and your faith for responsible for all the evils that happened in the world. Often active atheists are such because of some personal problem or disappointed connected to Christianity just like Maher. Maher and other atheists like him start developing blaming attitude to the Lord and the Church. The fact that Christianity doesn't fit someone's desires doesn't mean it is true. In the movie one sees quite of crazy people and religious leaders, which are either uninformed about their faith or suffer from some mental problems, as with most movies to discredit Christianity, Orthodox Christianity stand point on faith is not shown. Maher suggests, as a alternative method to faith, the method of doubt actually by creating such a movie with the aim to discredit religion, he demonstrates totally the opposite, as all his findings are based on his personal faith that "There is no God" and Christianity is based on fairy-tales. Faith has difficulties, there are a lot of sick people in the Church, things are not ideal in christian-dome, and we have to be careful not to believe or follow blindly everything we hear, but I think Maher's attitude is seriously disrespectful to things and people's believe. In the movie, a lot of the people to be interviewed were radical and the movie makes an image of Christianity as very radical, but Maher and his movie is just like as radical as them. It is fact that there is radical things in many of protestant christian denominations and many start-up (newly believed) Christians, have the tendency to be radical, however to make his point solid I think, Maher should have interviewed stable and educated theologian and not look for the weirdiest individuals and places in the world. And often try to look for arguments to approve their disbelieve (finding such arguments is a tought think and this is why a lot of people who try to look for arguments against Christ and Christianity – like me some 10 years ago often end up Christian). There is not one or two movies made on topic of "Scientific Atheism" in same spirit as Religulous, if one research on the facts presented in this movie he quickly understands a lot of the presented movie facts are either untrue or are true but have nothing to do with authentic Christianity which one can find in the most ancient of Churches Eastern and Oriental Orthodox Churches (like for example Syriac Orthodox and Copts). Religulous and atheistic movies from its genre are not based on true facts either historical or scientific and even often doesn't follow strong rationalism but more or less on particular person believe. They're looking to disprove God looking from answers in a very biased way. I would close the post with a quote from the Holy Bible Psalms chapter, clearly addressing atheist people like Maher. I want to use vim (text editor) on my Windows 7 work computer and hence installed VIM (VI Improved) port for Windows GVim. VIM works perfect on Windows and for those coming from UNIX background having it installed is a must, however vim doesn't include a PATH location to its (vim) executable in Windows %PATH%. 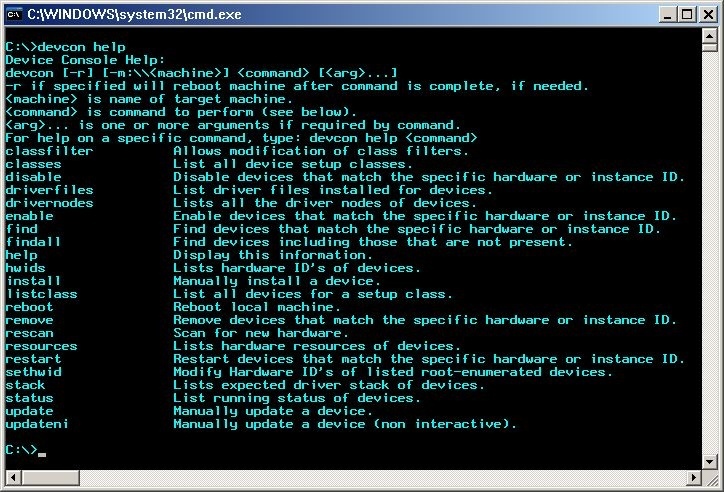 PATH command line variable stores path locations to all binaries that could be executed directly from cmd line with no need to type full directory path to binary. To illustrate what PATH is lets say you want to make Putty accessible straight from Windows command line (cmd.exe), you can add Putty's installation Path Folder to global Windows %PATH%. 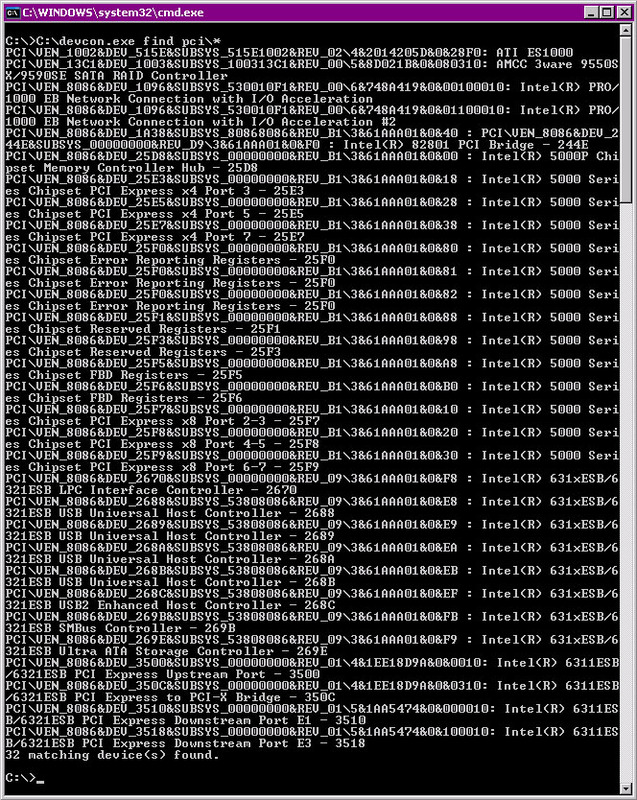 On my 64-bit Windows PC Putty binary is installed in C:Program Files (x86)PuTTY. From Windows desktop, right-click My Computer and click Properties. 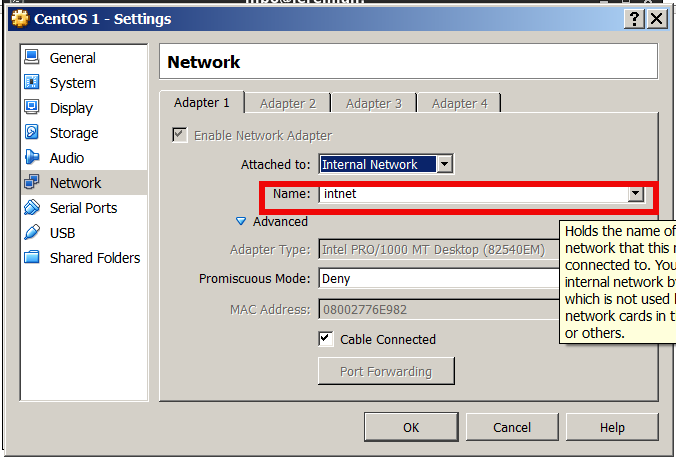 In the Advanced system settings click on Properties window, click on the Advanced tab. 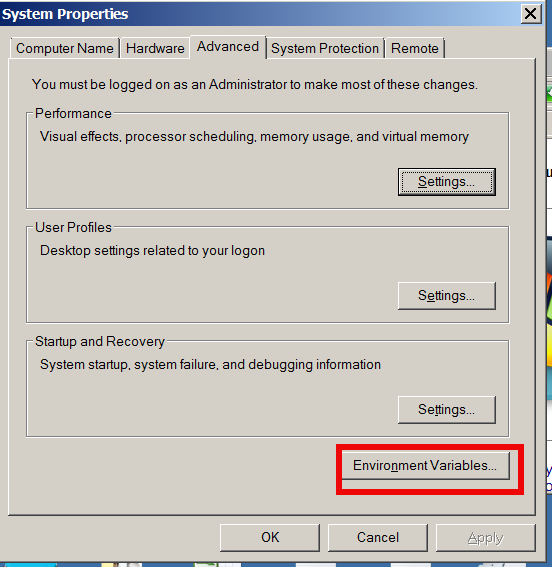 In the Advanced System section, click the Environment Variables button. Finally, in the Environment Variables window, search for the Path variable in Systems Variable section and click the Edit button. Add or modify the path lines including the paths to binaries you wish to be easy access. Note that each different directory should be separated with a semicolon (;), e.g. and -), into proper bitmap graphics. and symbols that can be rendered. 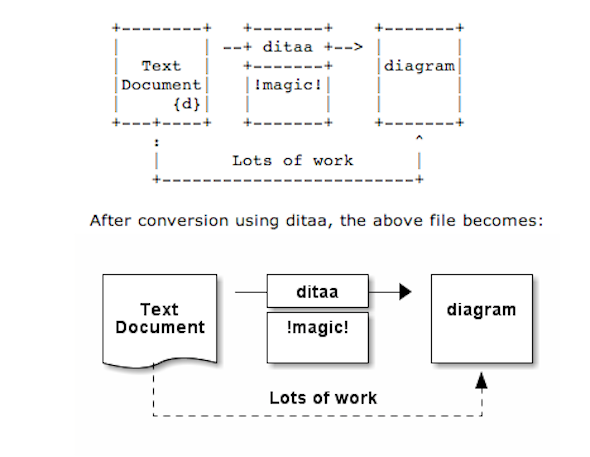 Ditaa text diagram to Graphics converter is also available in Fedora Linux and in Source RPMs to be used on Redhat Based RPM distributions. For most people probably Ditta will not be of any value except as a PoC and of a Hack value just like Ditaa's home page suggests. Nomatter that Ditta is cool but has just 2 drawback it doesn't understand non-latin characters i.e. Cyrillic and requires Java Virtual Machine .. but if you're a real geek you will do the sacrifice to install a whole bunch of the heavy java for the sake of some oldschool fun 🙂 Being written in Java makes Ditta multi-platform, but you will need a Java VM version of at least 1.6 (it doesn't work with Java 1.5). There are also special tags understood by Ditta which are automatically turned into shaped graphical buttons and forms. 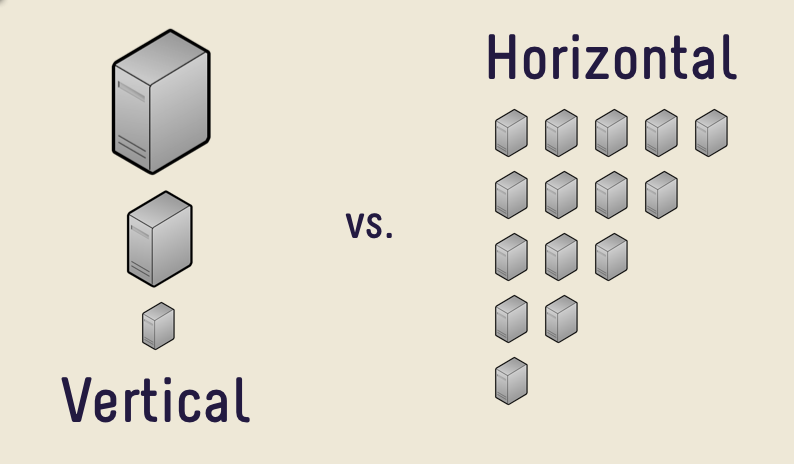 Many thanks to Cybercity's 30 Cool Open Source Software of 2013 for inspiring this post.